Cameron and Miliband woke up on 10 October with a common sense of dread. Both their parties have been left reeling at the results of byelections in which Ukip has dealt them a hefty blow to the face. Both party leaders are now facing calls from some of their MPs to stand down before the 2015 general election. For the Tory party, a landslide victory for their defector, Douglas Carswell (who won 60% of the vote), has no doubt left more backbenchers tempted to jump ship. But it’s perhaps Labour that has been the most visibly shocked. Ukip can no longer be written off as a ‘Tory problem’. In Heywood and Middleton, a former Labour stronghold, Ukip came within inches of taking a seat. Just over 600 votes separated Farage’s party from a second (and potentially even more significant) victory. These results have sent shivers down spines – including those of many ordinary workers and young people. But the three main parties all bear responsibility for the rising tide of the populist right. The trade union leaders who have held back from acting to build a new party have actually furthered this process. Five years of austerity have devastated the lives of already hard-pressed communities in Clacton and Heywood alike. The cowardly ‘opposition’ of Miliband’s Labour offers nothing close to a coherent alternative, while competing with the Con-Dems over spending cuts. Ukip enjoys playing on the fears of working class people – particularly those about immigration, while diverting blame over collapsing living standards from the bankers, big business and the super-rich. But underlying these fears is a deep sense of insecurity. It’s insecurity about jobs, stretched services, a race-to-the-bottom in pay and working conditions, and a dearth of (actually) affordable housing. There is an overwhelming need for a new, mass party for the working class – a party which could offer people genuine hope. This would be a party which, like 72% of Ukip’s voters, supports measures such as re-nationalising Britain’s railways. A party which, rather than aping the reactionary sentiments of ex-city slickers like Carswell, would offer an end to cuts and a minimum wage of £10 an hour; a party that would stand with workers as they fight to resist the onslaught and secure better wages and conditions. The anti-establishment image that Ukip has worked so hard to adopt needs to be shattered. This is the same Ukip that helped organise a minuscule ‘pro-cuts’ rally designed to counter 2011’s trade union anti-austerity march, which attracted more than 500,000 people. It’s the same Ukip whose deputy leader – Paul Nuttall – wrote in comments now deleted from his website that “the very existence of the NHS stifles competition”. Ukip leader Nigel Farage may enjoy the odd pint but, as a privately educated ex-banker, his ordinary bloke act is pretty superficial. Ukip is a pro-cuts party for ‘the 1%’. In the week following this humiliating by-election result for Labour, millions of workers were on strike against low pay. If Miliband had any backbone, he would respond to this electoral setback with bold support for the strikes, announce measures that would take some of the enormous wealth concentrated in the hands of the 0.1% super-rich and use it to fund wage increases, job creation and investment in our public services. Instead of fighting for socialist policies to solve the economic and social crisis facing workers, Miliband and Labour continue to shift to the right and echo Ukip’s divide and rule, anti-immigrant agenda – the politics of despair. 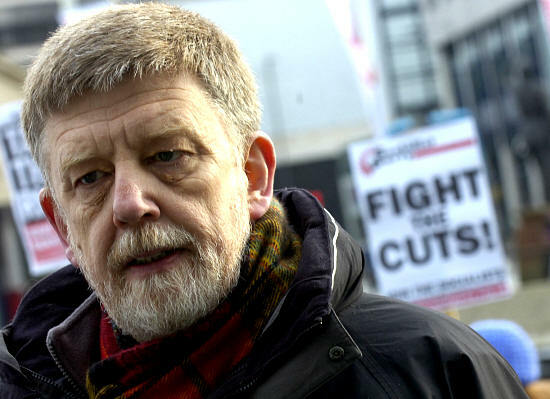 Those who prefer the politics of hope should get involved with Trade Unionist and Socialist Coalition (TUSC – see below), and help build a vibrant, democratic, mass party based on struggle and the organisations of the working class – a real alternative. In losing thousands of votes in the Heywood and Middleton byelection, Labour has nobody to blame but itself. Labour has spent the last 20 years assuming working class voters had nowhere else to go, so their problems, and they themselves, could be safely ignored. That attitude lost Labour four million working class voters between 1997 and 2010. Now Ukip is harnessing the anger of those who feel you can’t get a fag paper between the establishment parties, and that specifically Labour is part of the problem, not the solution. But Ukip itself is not the answer. It’s run by a public school educated ex-banker, staffed by people who worship Mrs Thatcher, and funded by multimillionaires who think the Tories have gone soft. We urgently need a new party, but one that is rooted in the communities and organisations of the working class, with a programme of socialist demands to answer working people’s problems.